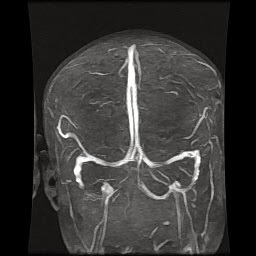 This non contrast 2 D TOF MR Venogram of Brain shows duplication of posterior part of superior sagittal sinus near torcula _ a normal anatomical variation. Rest of the dural venous sinuses normal. Vein of labbe noted on right side draining into right lateral sinus.